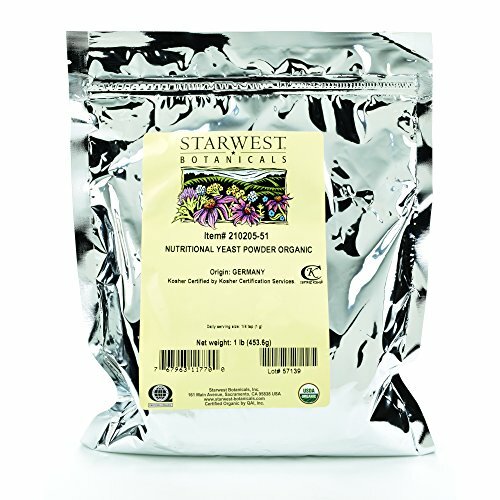 1 lb of Certified Organic Nutritional Yeast Powder, packaged in a resealable mylar bag. Our Certified Organic Nutritional Yeast Powder is from selected organic strains and lactic acid bacteria cultures bred in a wholly organic nutrient solution made from organic grain, pure spring water and enzymes. There are no pH regulators and it is not fortified with additional vitamins or minerals. This is a food grade, inactive, nutritional yeast that is high in B vitamins and dietary fiber and made up of over 1/3 protein.